Date, Time & Place of offence - Date 14/03/2011 before 7.30 am, in the area of Rawate Village, at Mr. Mohan Karveer's farm house. Offence Reg . - Date 14/03/2011, Time 16.30 pm. Brief fact - on given date and time one unknown male or female kidnapped, killed and brought from unknown place and reason. The dead body brought to farmhouse of Mr. Mohan Karveer at of Ravte village, Taluka-Palghar Dist. Thane Rural. The dead body found burnt for the purpose to destroying evidence.Hence the offence is registered. 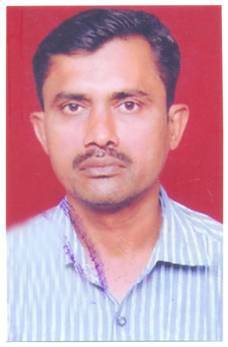 Suspected Accused - Shailesh Harkisandas Tailor Age- 38 Native place- Surat, Gujarat. 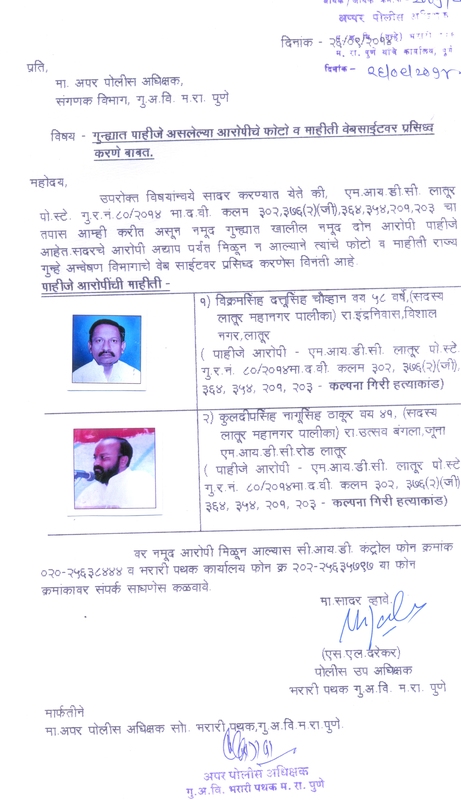 Present Add.-Ambevadi,Room no.3 Kiklamavji chwal,near Nalanda Bld. , Malad(E),Mumbai. This suspected accused person is absconding with his wife and two daughters after offence was registered. 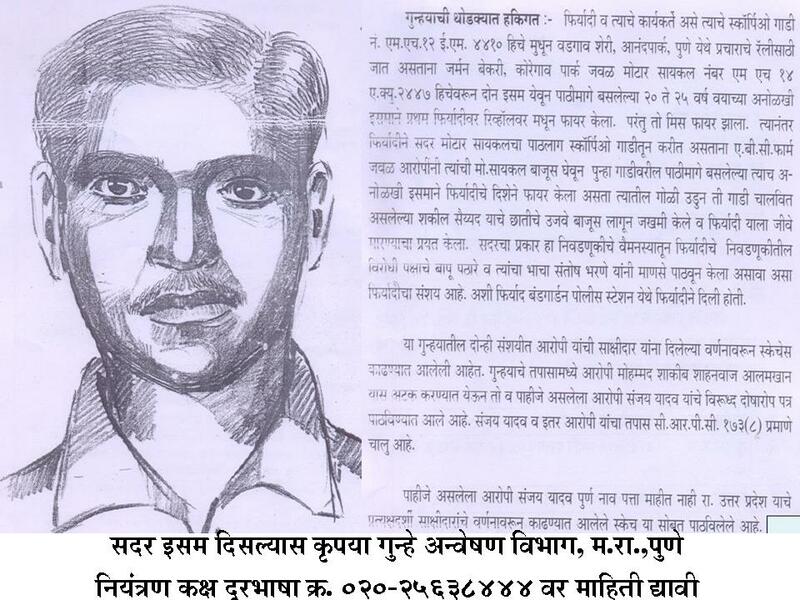 Please arrange to search the accused person and if traced inform us immediately.